The P-16 Initiative aims at connecting the P-12 and UNO curriculum through the development of collaborative academic service learning experiences. These experiences connect learning outcomes with community identified needs while meeting curriculum and course standards. The National Youth Leadership Council (NYLC) has established a set of eight standards as a guide to quality service learning. While they are targeted to the K-12 education audience, they are adaptable to higher education environment and to the understanding of community partners, as well. Learn more about these standards. Investigation: Use critical thinking to identify and analyze community needs and assets and student interests, skills and talents. Preparation: Get ready to take action through service by gaining knowledge and skills aligned with academic objectives. Collaborate with community partners to create a service plan that addresses identified community need(s). Action: Engage in meaningful and creative service that enhances learning and provides guided practice in social responsibility. Reflection: Communicate feelings, experiences and learnings before, during and after the action phase. Demonstration: Showcase the service-learning experience, demonstrating insights and outcomes to the community. Evaluation: Assess student learning and the service-learning experience as a whole to identify successes and areas for improvement. 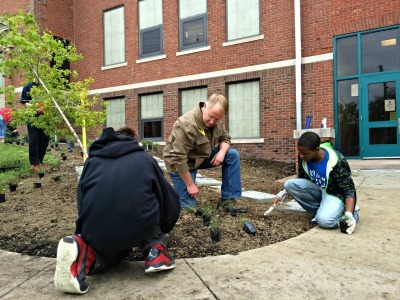 Service Learning is a method of teaching that connects learning outcomes to identified community needs. As a metropolitan institution, UNO values community partnerships that come together from P-12, higher education, as well as community parteners and government agencies to provide meaningful opportunities to serve and learn in the community. By developing academic service learning experiences with all three entities, the opportunity to deepen academic learning, provide real life experiences, and build relationships, allows learning that continues throughout a lifetime. Service learning implementation can begin with and idea, need, course learning outcome, or conversation. However it starts, the Service Learning Academy can assist in the development of the curriculum that implements this style of teaching in a quality way. Using the K-12 Quality Service Learning Standards and other supportive materials, support is available in many ways. Please go to our Information for Educators page for more resource information.